Residents claim Mashatile promised them many things weeks before the last local government elections. While police officers on Thursday morning forcefully entered the volatile Sicelo informal settlement in Meyerton, members from the notorious Red Ants manned parts of the R59 highway, which remained closed to traffic amid a community protest. Disgruntled residents first took to the streets on Thursday last week, demanding houses and claiming Gauteng MEC for human settlements Paul Mashatile promised them a lot of things weeks before the last local government elections. Since last week, the busy highway has been closed to traffic as protesters barricaded it with burning tyres, rocks and rubble. 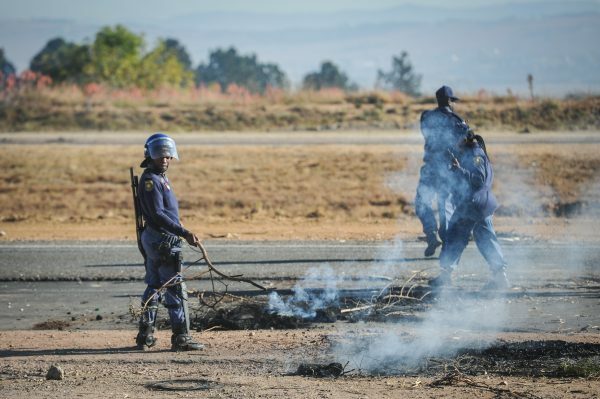 On Thursday morning, a caterpillar was seen trying to remove the rubble from the highway while police officers were inside the informal settlement, looking for those who have been behind the violent protest. Some factories in the area situated near the small Meyerton town were also closed.